After stumbling a bit from the disbanding of Team TouchDroid, the TouchDroid project is back in action. 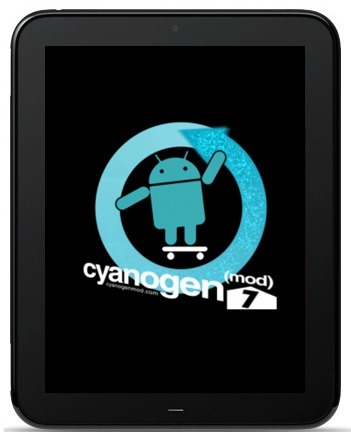 Redmond Pie has learned that CyanogenMod 7 (based on Android 2.3.x Gingerbread) on the HP TouchPad now has working Wi-Fi, sound and accelerometer! The news comes straight from the CyanogenMod team. Member greentheonly uploaded a video on YouTube showcasing all of the newly working features in a 5 minute demo. We weren’t really planning on regular updates re: our Android Touchpad port, but it turns out that people wanted more. For those who have queried as to why we are not creating a Honeycomb port using binaries from the Android SDK — we are focused on building from the Gingerbread source to pave the way for Google’s upcoming code release of Ice Cream Sandwich. In the video, you can see greentheonly enabling Wi-Fi from Settings and then downloading Angry Birds Rio. After catapulting a bird (and earning two stars in the process), the developer shows the YouTube web app playing a video. In order to show that the accelerometer is working, greentheonly shows the TouchPad automatically shifting to landscape/portrait orientation. Furthermore, the developer plays around an accelerometer based game to verify that the accelerometer is working accurately. The video wraps up with a bit of a disappointing benchmark, but since the current CM7 on TouchPad is a work-in-progress, this sort of stuff is to be expected. The TouchDroid project – which aims to port Android over to the discontinued HP TouchPad – seemed to have taken a hit after it announced that one of the two teams i.e. Team TouchDroid (the other one being CyanogenMod Team) was disbanding. Thankfully, it turns out that the CM team is making significant progress with the project. Folks who are interested in helping with the project can follow our guide to learn how to install Android Gingerbread on TouchPad. The rest of us shall have to wait for an easier installation procedure as the current one is quite complicated.